My kids will be out for summer in just a few weeks. I can't wait for the long lazy days - family camping trips, pool days and parties at night. One of our favorite summer traditions is a big party with our family on the 4th of July. 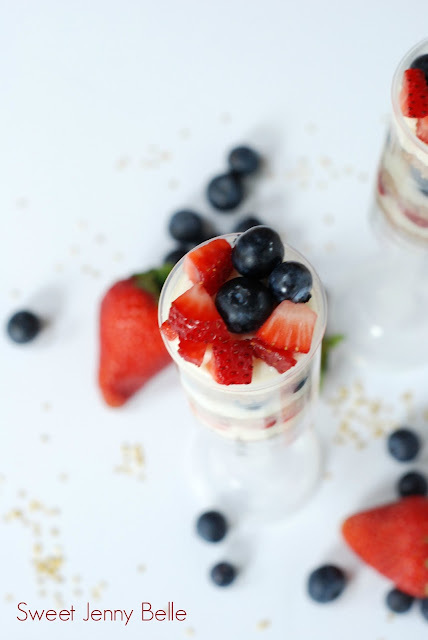 I love to create new desserts for this special time and make them patriotic themed. This year I pulled out my push pop molds to play with for the dessert. Up here in the Northwest, the berries are so crazy gorgeous, I knew that I wanted to make them the star. And how perfect are juicy blueberries and ripe, red strawberries for patriotic meals. To make them shine, I added a no bake cheesecake - who on Earth wants to heat up their ovens when temperatures are 90 F outside! This graham cracker crust and fluffy cheesecake come together in just minutes - I promise this will be your new favorite summer treat. 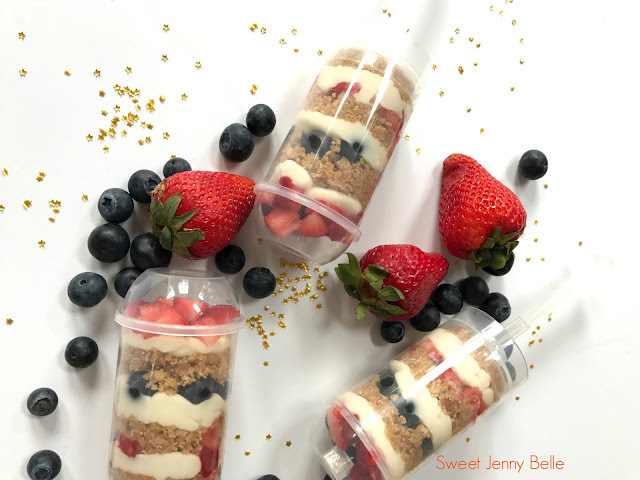 These no bake berry cheesecake push pops are perfect for your next summer party. So fun and quick! In a small bowl combine graham crackers, sugar and butter with a fork until well combined. In a separate bowl beat together cream cheese, powder sugar and vanilla extract until smooth and creamy. Pat the bottom of your push pops with a layer of graham cracker crust and gently push down. Top with strawberries and cream cheese filling. Repeat layers with blueberries and a final later with mixed berries. Cap your push pops and refrigerate until ready to serve. Any leftovers can be stored in the refrigerator for 2-3 days. You are going to love using these push pop molds! I've bought them before at my local craft store and I have purchased them online here. I think these would be fun to change for the different holidays - maybe a pumpkin pie and spiced nuts for Thanksgiving? Yum! These look so good! 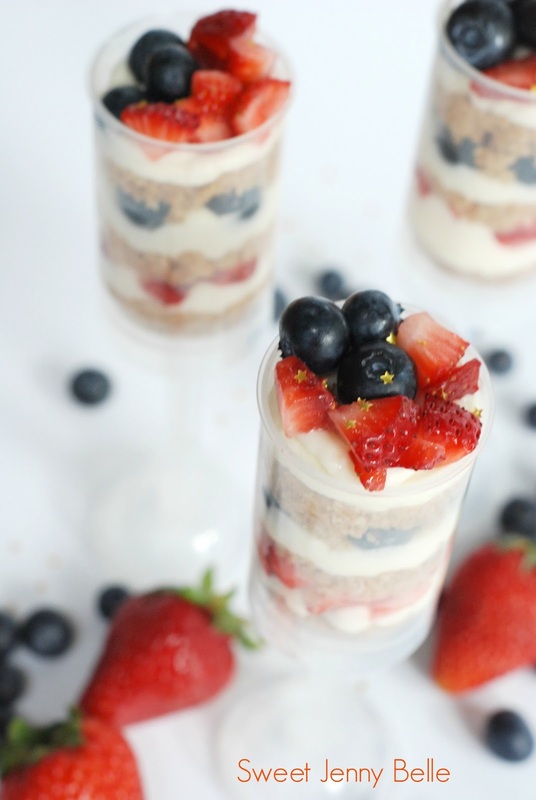 I love no bake cheesecake! Love these Jenny! Red, white, and blue with the gold stars...super fun.